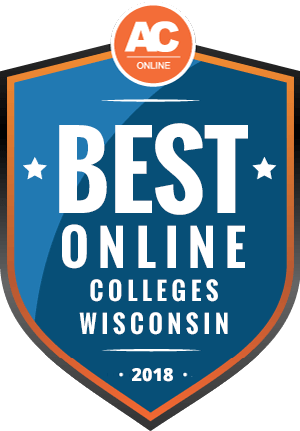 Why Choose Wisconsin for Online Higher Education? Wisconsin maintains one of the best economies in the U.S. because of industries like manufacturing, agriculture, and healthcare. The Badger State’s low 3% unemployment rate (as of October 2018) and state data reveal many opportunities for job seekers. A 2015 report by the Georgetown Center on Education and the Workforce found that 62% of the state’s jobs will require workers with postsecondary education by 2020; 36% will require some college education such as an associate degree, 19% will require a bachelor’s, and 8% will require a master’s or higher. A more recent list of Wisconsin’s hot jobs reinforces this notion, as 60% of its featured jobs require some form of postsecondary education. Keep in mind that those who have earned a postsecondary degree generally land jobs that not only pay salaries above the state median, but also enjoy the most projected openings. This resource outlines Wisconsin’s employment needs and offers several benefits of attending affordable online colleges in the state. Those thinking about college will also learn about transferring credits, financial aid, and college resources for Wisconsin’s online colleges. Online learning provides students from diverse backgrounds with the opportunity to acquire new skills, update old ones, and earn a degree while juggling multiple obligations. Online learning benefits learners who need a more flexible schedule. Wisconsin provides these learners with 102 programs delivered completely online, according to data from the National Center for Education Statistics (NCES). Learners increasingly turn to online colleges — with 14,675 undergraduates, 7,900 graduate students, and 171 international students enrolled exclusively online in Wisconsin in 2016. The cost of tuition often varies greatly and depends on whether a students resides in state or out of state. In general, to qualify for in-state tuition, students must show proof of residency in Wisconsin for at least 12 consecutive months. An increasing number of online universities charge the same tuition regardless of a student’s residency. Learners should do their research to determine which schools offer one tuition for all. Learners who live out of state may also qualify for in-state tuition if they live in one of 10 member states that form the Midwest Student Exchange Program (MSEP), a program of the Midwestern Higher Education Compact. States in this compact include Wisconsin, Michigan, Minnesota, Missouri, and Nebraska. In general, Wisconsin’s residents pay $16,194 for in-state tuition at four-year public institutions, according to NCES 2016 data; out-of-state learners not in the compact pay $21,327. Alternately, Wisconsin residents planning to attend a public two-year institution pay $4,382 for in-state tuition, compared to $7,336 for out-of-state students. Tuition at Wisconsin colleges costs less than the national average for four-year institutions, according to NCES data. The national average for in-state and out-of-state tuition at four-year public institutions stands at $19,189 and $24,354, respectively. The national average for in-state and out-of-state tuition at two-year public colleges stands at $3,038 and $7,409, respectively. Learners who plan to study online save money because they do not need to pay for room and board and transportation. Learners may also save on fees that on-campus students pay since many programs charge only tuition, with no additional fees for online learners. The following list highlights undergraduate tuition rates for online degrees at some of the most affordable online schools in Wisconsin. Learners who live out of state but who want to attend Wisconsin’s online colleges need to consider the cost of tuition. NCES’s 2016 IPEDS data notes that out-of-state undergraduate students studying exclusively online in Wisconsin can expect to pay $2,997; graduate students pay $2,808. They should also consider that discounts through the Midwest Student Exchange Program will impact tuition if they live in a member state. While many states belong to the National Council for State Authorization Reciprocity Agreements (SARA), learners should make sure that SARA allows Wisconsin to provide distance learning in their state. Wisconsin serves as one of the 12 states in the Midwestern Higher Education Compact. The compact oversees the Midwest Student Exchange Program, which provides learners with opportunities to study affordably within 10 member states: Illinois, Indiana, Kansas, Michigan, Minnesota, Missouri, Nebraska, North Dakota, Ohio, and Wisconsin. More than 100 colleges and universities participate in the MSEP and agree to charge learners in participating states no more than 150% of the in-state resident tuition rate for specific programs, and offer a 10% reduction on tuition rates at private colleges. This could save learners between $500 and $5,000 annually, according to the MSEP. Furthermore, Minnesota and Wisconsin share a tuition reciprocity agreement in which residents in each state pay in-state tuition at the other state’s public colleges. SARA oversees the delivery of distance education among participating states. Once states join SARA by meeting certain established criteria, their colleges may apply to operate under the agreement. Wisconsin’s students benefit from enhanced access to affordable, high-quality educational offerings in member states and vice versa. Tuition rates are ultimately program and institution based. Ask someone from a prospective program about what rates apply to you specifically as a potential member of a specific program. This ranking of Wisconsin’s top affordable online colleges looks at a number of factors, such as accreditation status, breadth of online programs, and tuition value. The ranking also considers graduation rates, available financial aid, and student services like academic and career counseling. Our Best Online Colleges in Arizona rankings are backed by data collected and analyzed from The Integrated Postsecondary Education Data System, a program managed by the National Center for Education Statistics. Surveying over 7,500 colleges annually, it is among the most longstanding and trusted providers of U.S. postsecondary information. These questions about online schooling in Wisconsin can assist you in your research efforts to find the most affordable accredited online programs. Do Online Credits Cost More or Less in Wisconsin? As learners try to find the cheapest online colleges, they should carefully review and compare the tuition information for each school on their list. Each school establishes the per-credit cost of tuition, which may even vary among programs within the same institution. Students should also take note of any additional fees to ensure that they don’t end up spending significantly more than the per-credit tuition advertised. Which Wisconsin Schools Accept the Most Transfer Credits? Schools within the University of Wisconsin (UW) System follow established guidelines for credit transfers that may differ from other schools outside the System. Most campuses require transfer students to meet residency requirements — a minimum number of credits they must complete at the institution. Learners from two-year UW colleges or the Wisconsin Technical College System can transfer up to 72 credits from a nonbaccalaureate program. The same guidelines apply to nonresident students, and some UW campuses may accept more credits. Furthermore, learners may receive credit for external tests and courses they may have taken. Learners may use TRANSFEROLOGY to receive an unofficial evaluation of how their credits apply towards specific degree requirements in the UW system. They can also use this website to see how these credits fulfill requirements at other schools in Wisconsin and around the country. Credit transfer guidelines for colleges outside of the UW system vary, and learners should consult each school’s website to access that information. Note that a school, including campuses within the UW system, may also require that applicants complete a placement test for admission. Will Any Online Colleges in Wisconsin Accept a GED? The Wisconsin Department of Public Instruction issues a GED certificate after learners complete tests in five areas. Most community colleges and technical colleges accept the GED certificate for admission into programs, whether delivered online or on campus. They often require that applicants also submit test scores for the Accuplacer, SAT, ACT, or Compass. Some four-year institutions require a high school diploma and the SAT or ACT for admission. Others, like the University of Wisconsin System, accept the GED as long as applicants submit GED scores, high school transcripts, official test scores for the SAT or ACT, and GPA scores for any completed college courses. How Many Academic Terms per Year Do Online Colleges in Wisconsin Offer? The University of Wisconsin online school offers the UW Flex Option that allows learners to earn an online degree on their terms. Designed for learners with some college credit or work experience, the program allows learners to start any month, study at their own pace, and take tests at their convenience. Learners may earn an associate or bachelor’s degree in select fields, such as business administration, health sciences, and nursing. As learners begin to develop a list of online colleges, they should identify start dates to determine if the schools match their need for flexibility. Many schools offering online programs enroll students in the traditional fall, spring, and summer terms. But others may have multiple start dates for online programs throughout the year. Students should consult the website of each school to access admissions information such as program start dates and necessary application materials. Which Online Colleges Will Accept the FAFSA in Wisconsin? Any college in Wisconsin that awards federal financial aid requires that applicants submit a Free Application for Federal Student Aid (FAFSA), regardless of whether the student is attending online or on campus. After students fill out the FAFSA, the results determine the student’s expected family contribution and their eligibility for federal financial aid. Then, once the colleges receive this information, the financial aid office awards the needed aid. Since only students attending accredited colleges qualify for financial aid, learners should make sure the online school they plan to attend in Wisconsin holds accreditation from the Higher Learning Commission. Note that male residents of Wisconsin who seek financial aid from the state or the U.S. Department of Education must register with the United States Selective Service System. Are There Any Free Online Classes I Can Take From Wisconsin Colleges? The University of Wisconsin-Madison provides free online courses through massive open online courses (MOOCs). UW-Madison’s courses cover topics such as forests and humans, the changing climate, human evolution, and video games and learning. Learners join the website for free and take free classes from other institutions in the state or around the country. Another MOOCs provider, Coursera, offers an extensive catalog of free and fee-based courses taught by faculty from colleges and universities around the country. After learners in Wisconsin or elsewhere join Coursera for free, they can immediately begin searching for courses. The virtual college provides video lectures, auto-graded assignments, and community discussion forums. Although many courses require a fee, learners pay an affordable price. How Can I Find the Online Program Options at Wisconsin’s Colleges? The UW System eCampus offers learners more than 150 online degrees and certificates from campuses across the University of Wisconsin’s system. Through eCampus, learners can earn one of more than 60 bachelor’s degrees online in fields such as nursing, business management, criminal justice, and communication arts. Successful completion of the associate of arts and science provides learners with guaranteed entry into a UW system campus of the student’s choosing. The eCampus also offers the UW flexible option, in which nontraditional students apply previous education, work experience, and prior knowledge toward an associate or bachelor’s degree. University of Wisconsin Colleges Online offers online programs from colleges in Wisconsin. Students choose from more than 125 courses from UW Colleges and two degree types: associate of arts and sciences, and the bachelor of applied arts and sciences. Learners pay one flat per-credit tuition rate. Since many colleges in Wisconsin offer online courses, learners should visit their websites to review catalogs. Prospective students planning to pay for their education with financial aid should look to Pell Grants as a good first option because they do not need to be repaid. Since not everyone qualifies for the need-based program, the following list provides five options to help fund online programs in Wisconsin. The Wisconsin Grant Program provides financial assistance to Wisconsin residents enrolled in undergraduate programs at least half time at select institutions. The need-based grant focuses exclusively on programs at Wisconsin Technical College, University of Wisconsin, or Tribal institutions. Each year, the Roma Lodge offers scholarships to children of members of the lodge who would like to pursue postsecondary education in the U.S. Applicants must demonstrate a strong academic record, leadership qualities, and U.S. citizenship. Zonta International encourages female high school seniors around the world to pursue careers in public affairs. The organization recognizes young women who demonstrate superior leadership skills; it awards up to 32 district scholarships each year. The Upper Midwest Chapter of the National Academy of Television Arts and Sciences offers student scholarships to high school or college students living in the five-state areas that the organization serves, including western Wisconsin. Learners can apply the money toward tuition for majors in video journalism or electronic media production. 5. Presbyterian Church (U.S.A.) The Presbyterian Church offers need-based scholarships to its members who are attending accredited institutions in any state in the U.S. Applicants must attend school full time as sophomores, juniors, or seniors, and carry a minimum 2.5 GPA.